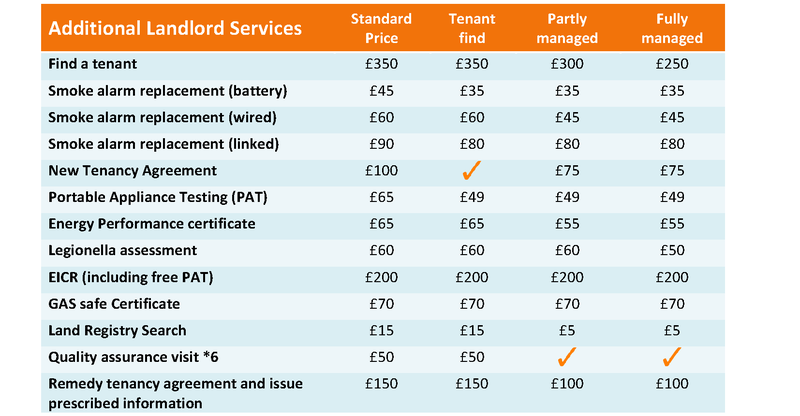 *1 Where the “Right to Rent” check has not been done with an existing tenant and we have to do more work such as visit the tenants home to remedy compliance then and additional fee of £50 applies. 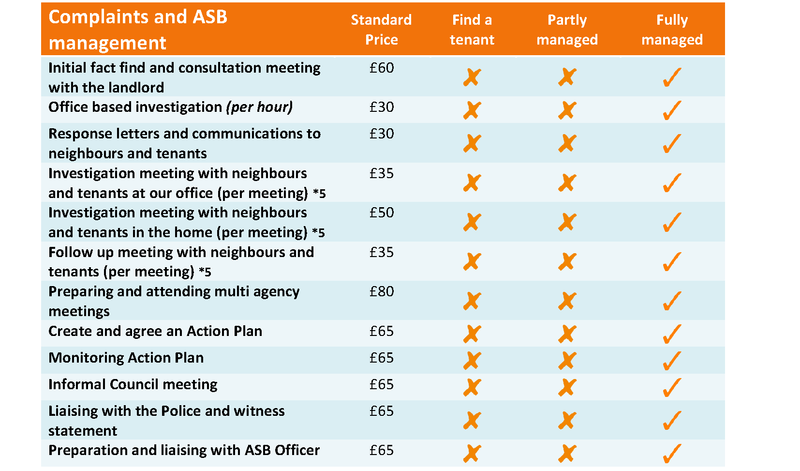 *2 Where there is an existing tenant and the tenancy agreement is not compliant. 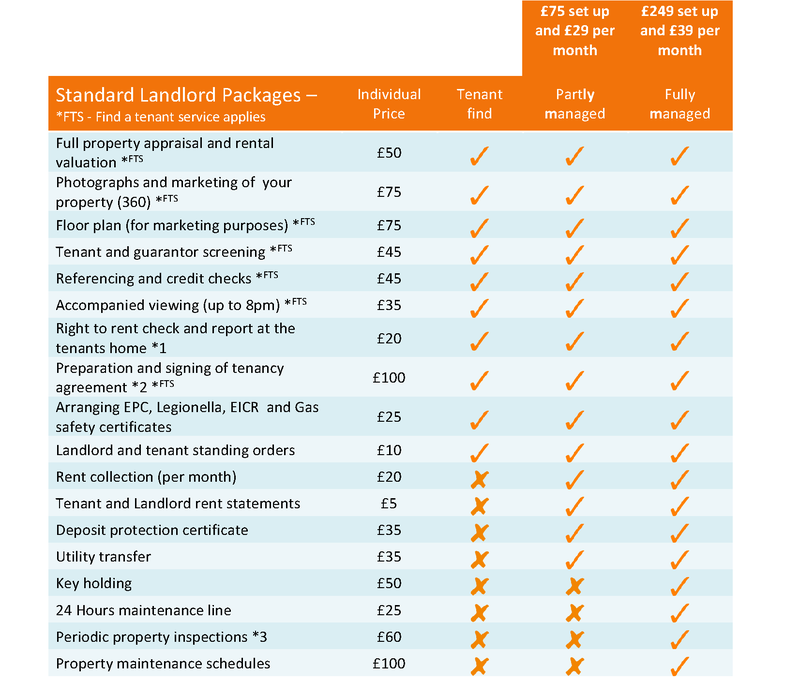 Or we have to visit the clients home to sign a new agreement then an additional fee of £50 applies. *3 Periodic property inspections are every 6 months. There are 2 inspections per 12 month period. Additional inspection fees apply. *4 Prices displayed are within working hours (9am-5pm) all emergency management outside these hours incur £35 extra on non-managed services. *5 Prices displayed are within working hours (9am-5pm) all meeting requests outside these hours incur £15 extra on our managed services and £25 extra on non-managed services. *6 Where we need to inspect the property to evidence remedial works or check work is at a satisfactory quality and we did not organise it then a quality assurance inspection charge will be applied for properties under management. Note: a fair usage policy applies to all management services.